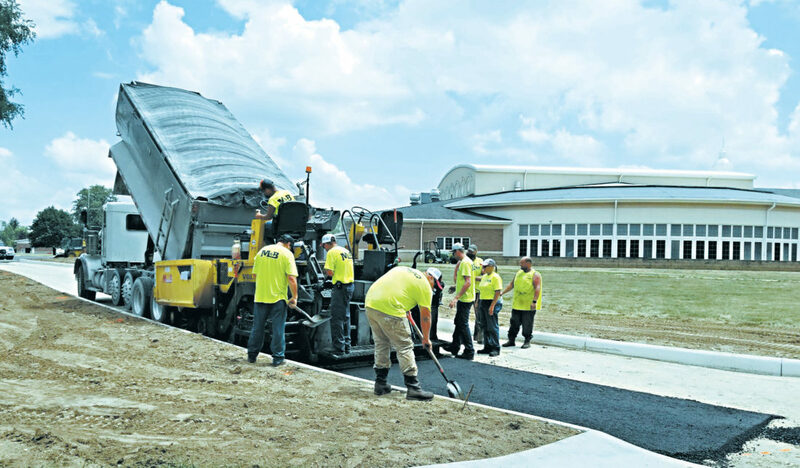 PHOTO SUBMITTED Workers pour a new drive at Tiffin Middle School which is to allow better accessibility for drop-off and pick-up of students. An 18-year veteran Tiffin Police Department officer has been hired to serve as the Tiffin City Schools school resource officer. Tiffin Superintendent Gary Barber updated the Tiffin City Board of Education of the hire during the board’s regular meeting Tuesday night. Officer Douglas E. Skornicka has served with the Tiffin Police Department since 2000. 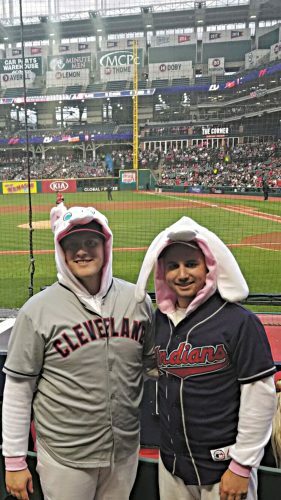 He has a bachelor’s degree in criminal justice from Youngstown State University. Barber said it was Skornicka’s years of experience with TPD and the extensive amount of training he has received that made him a top candidate. Barber said the district interviewed three candidates. “We feel that Officer Skornicka has great tactical experience and a mindset to analyze the areas where we need to improve,” Barber said. During his report to the board, Barber also addressed the district’s enrollment. He said the district is up 132 students from this time last year. On enrollment, Lincoln Pre-K Elementary School Principal and Director of Educational Programming Michelle Tuite said the preschool has 96 students which is down from last year. The school also is down two teachers and four aides. Tuite said there also are 27 students who are on a waiting list for the preschool. She addressed the board asking for additional morning and afternoon sessions to address these needs. Presentations were also given about Camp Invention and 21st Century grant opportunities. Director of Operations Scott Daniel gave an update on the new drive at Tiffin Middle School. Daniel said since the start of school there has not been more than two cars trying to exit and cars have only been backed up briefly to the street. With the heat this week, a Tiffin mother and father addressed the board during public comment about temporarily amending the school’s dress code to allow for sleeveless shirts while there are high temperatures. The board entered into executive session to consider the appointment, employment and compensation of public employees and to consider the purchase of property for public purposes. No action was taken. • Heard first reading of proposed revised board policies and regulations. • Approved employment, resignations and retirements. • Accepted donations and grants. • Approved a contract with North Central Ohio Educational Service Center for education consultant services. Contracts with NCOESC for braille/large print services, audiology services and technology services also were approved. • Approved a contract with Frontline Education for a renewal of applicant tracking software. • Approved a contract with McWatters Consulting for data management services effective July through December and a contract for Jan. 1 through June 30. A contract for evaluation services effective July through June 30 also was approved. • Approved Memorandums of Understanding with Tiffin Education Association for teacher dues, salary schedules and advanced placement testing were approved. The District and the TEA are to revisit the MOU when they negotiate the next contract in 2020. • Approved a real estate purchase agreement between the board of education and Richard Zeis Jr. in the amount of $25,000. • Approved a real estate donation agreement between the board of education and Kedory Investments for property on South Bon Air Avenue to be used for additional parking. • Approved a job description for elementary school lead site coordinator for an after school program. • Approved pupil-activity permit contracts for David O. Auble, football coach for seventh and eighth grades, and Travis J. Salyer, head varsity wrestling coach. The board is to meet at 7 p.m. Sept. 25 at Tiffin Middle School, 103 Shepherd Drive.